sun-down Friday to sun-down Saturday. On YAHUVEH/YAHWEH GOD’S HOLY Shabbat day (Saturday), we gather together as YAHUVEH GOD’S people to worship HIM. SHABBAT is a Special Set Apart /Holy Day of YAH (a.k a GOD, in Hebrew) for us to Fellowship with HIM or spend time with HIM as well as fellow brethren in YAHUSHUA. SHABBAT is actually observed in the HEAVENS on a weekly basis. It is not just for mankind. YAH too observes it. As mankind (made in YAHUVEH GOD’S beautiful image), we are supposed to have quality fellowship time with YAH Almighty however the cares of this world including how to pay our bills, etc usually lead to us being too busy to spend quality time with YAHUVEH GOD during the weekdays. 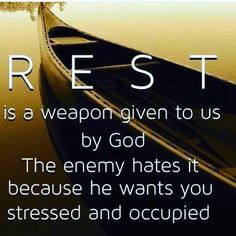 This is one of the reasons as to why YAHUVEH GOD set aside one day weekly for us to put aside and stay away from our usual daily work schedules so that we can rest as well as spend time in HIS WORD and interacting with HIM. YAHUVEH GOD created us to have a loving obedient relationship with HIM daily. Just as HE shows us HIS LOVE daily, we are to show HIM our love to HIM. SHABBAT is therefore a very special day. We are commanded to honour it with all our hearts as a (very special physical) sign between us and YAHUVEH GOD! MEETING Details – TO BE UPDATED from time to time. Please do contact us for more information. If we are to meet on Sundays at all, we would do a In-depth Bible Study Series on a particular book of the Holy Biblical Scriptures or a particular Topic as led by the RUACH HA KODESH. We prefer to avoid taking part in Sunday worship due the revelations given by YAH Almighty through HIS Amightywind Ministry and the late TORAH-Keeping Christian Archaeologist Ron Wyatt detailing how participating in Sunday worship will affect mankind during the GREAT TRIBULATION to come. ד 8 “Remember the day, Shabbat, to set it apart for God. 9 You have six days to labor and do all your work, 10 but the seventh day is a Shabbat for Adonai your God. On it, you are not to do any kind of work — not you, your son or your daughter, not your male or female slave, not your livestock, and not the foreigner staying with you inside the gates to your property. 11 For in six days, Adonai made heaven and earth, the sea and everything in them; but on the seventh day he rested. This is why Adonai blessed the day, Shabbat, and separated it for himself. ד 12 “‘Observe the day of Shabbat, to set it apart as holy, as Adonai your God ordered you to do. 13 You have six days to labor and do all your work, 14 but the seventh day is a Shabbat for Adonai your God. On it you are not to do any kind of work — not you, your son or your daughter, not your male or female slave, not your ox, your donkey or any of your other livestock, and not the foreigner staying with you inside the gates to your property — so that your male and female servants can rest just as you do. 15 You are to remember that you were a slave in the land of Egypt, and Adonai your God brought you out from there with a strong hand and an outstretched arm. Therefore Adonai your God has ordered you to keep the day of Shabbat. 9 Going on from that place, he went into their synagogue. 10 A man there had a shriveled hand. Looking for a reason to accuse him of something, they asked him, “Is healing permitted on Shabbat?” 11 But he answered, “If you have a sheep that falls in a pit on Shabbat, which of you won’t take hold of it and lift it out? 12 How much more valuable is a man than a sheep! Therefore, what is permitted on Shabbat is to do good.” 13 Then to the man he said, “Hold out your hand.” As he held it out, it became restored, as sound as the other one. 14 But the P’rushim went out and began plotting how they might do away with Yeshua.